FILE - The Falcon 9 SpaceX rocket lifts off from launch complex 40 at the Cape Canaveral Air Force Station in Cape Canaveral, Florida, on July 17, 2016. 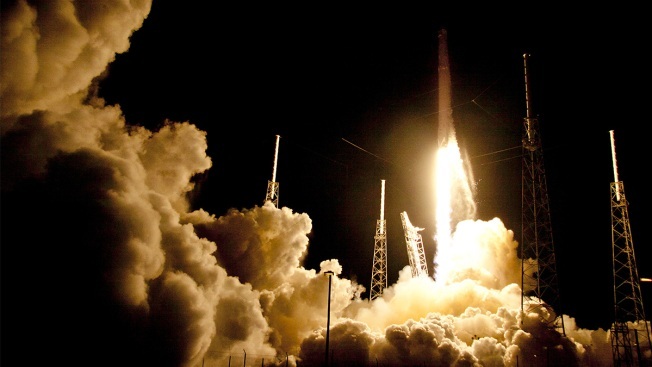 SpaceX aborted a launch mission Saturday seconds before their Falcon 9 rocket was supposed to lift off from the launch pad used to send Americans to the moon and shuttle astronauts into orbit. The mission was called off with 13 seconds to spare just after 10:00 a.m. Saturday. "Standing down to take a closer look at positioning of the second stage engine nozzle," the company tweeted after the failure. They noted Sunday would be the next possible time for a launch. Saturday morning's planned launch was scheduled to be SpaceX's first from Florida's Launch Complex 39A since a devastating rocket explosion at a neighboring pad last summer. The accident prompted SpaceX to whip 39A into shape sooner than anticipated under its lease with NASA. The pad wrecked in the Sept. 1 accident remains unusable. The complex is the same pad where Americans flew to the moon almost a half-century ago, and where the shuttle program ended in 2011. "I can tell you it's an extra special launch .... maybe extra nerve-wracking," SpaceX President Gwynne Shotwell told reporters Friday just outside the pad fencing.